Stud gun for manual operation. 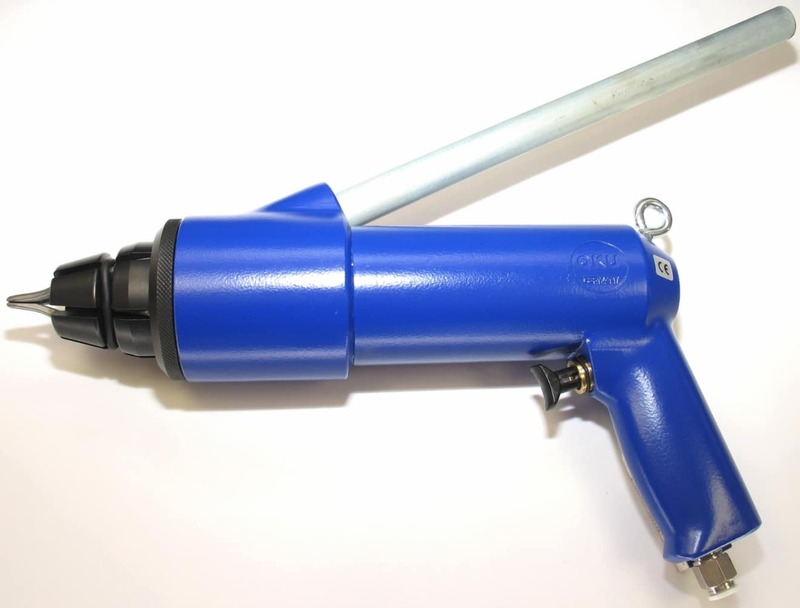 Used for the insertion of sigle-flange studs into car tyres. Used with stud sizes: Ø8, from a length of 10 mm. Needs compressed air 7-8 bar. Weight 1.5 kg. 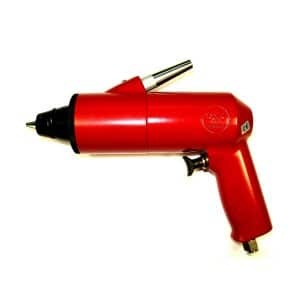 Stud gun for manual operation. Used for the insertion of single or multi-flange studs into tyres. Used with stud sizes: Ø6,5mm, from a length of 11 mm. Needs compressed air 7-8 bar. Weight ca. 1.6 kg. Our most used stud gun for manual oparation. Used for the insertion of single or multi-flange studs into car tyres. Used with stud sizes: Ø8, from a length of 10 mm. Needs compressed air 7-8 bar. Weight 1.8 kg. 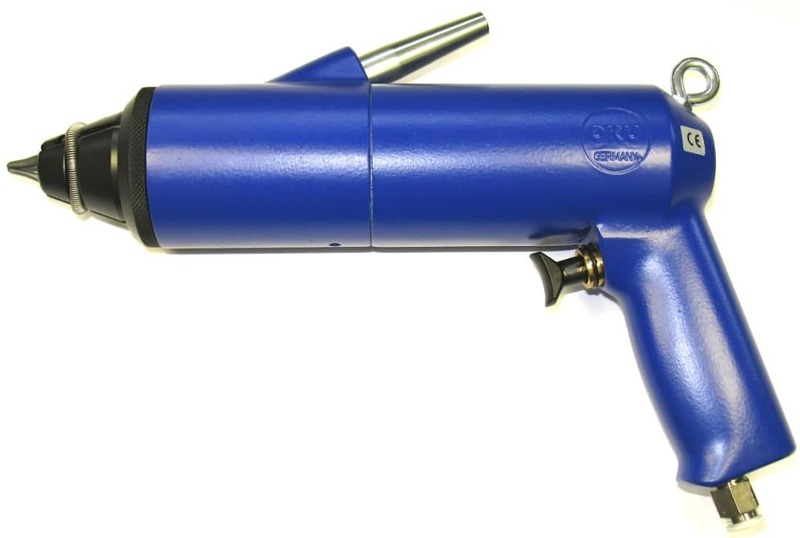 Stud gun for manual operation. Used for the insertion of single or multi-flange studs into tyres. Used with stud sizes: Ø9, from a length of 11 mm. Needs compressed air 7-8 bar. Weight ca. 1.8 kg. 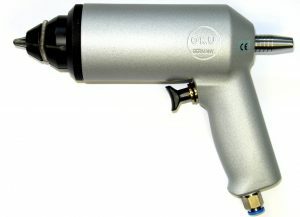 Stud gun for manual operation. Used for the insertion of multiflange studs into tyres. Used with stud sizes: Ø 11-12, length 15-25 mm / Ø 15, length 18-25 mm. Needs compressed air 7-8 bar. Weight ca. 2.6 kg.